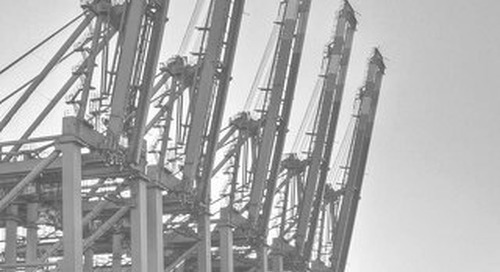 At the Port of Virginia, thousands of shipping containers are lifted, moved and lowered by about 30 cranes. The fast-moving cranes stand more than 130 feet high and operate 24/7, often in extremely turbulent winds—they are a powerhouse behind transporting cargo around the world. 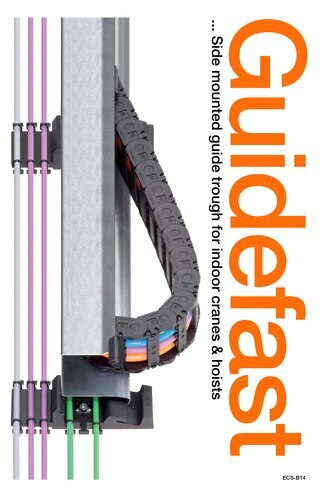 For years, wheeled festoons were used as cable management systems in the cranes’ moving parts. The festoon systems often could not stand up to the harsh environmental conditions of the port, leaving cables swinging, tangling and breaking, and forcing port crew members to repair systems as quickly as possible in the extreme weather. 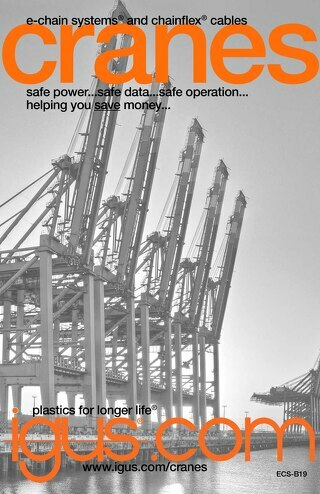 Looking to eliminate these risks 12 years ago in eight new ship to shore cranes, port management switched from festoons to igus® energy chains. 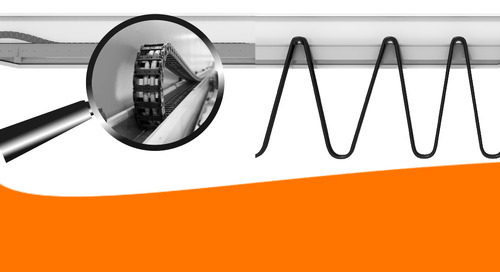 The energy chains from igus® offer a secure and modular solution that protect cables and decrease downtime. While festoons require wheel greasing and frequent maintenance to components marked for wear, e-chains® are virtually maintenance-free with only visual inspection needed. They are also designed to be more space-saving, easier to use when replacing cables, and UV and moisture-resistant. Another substantial benefit of energy chains is that the they only move when the trolley is moving. This means that in windy conditions, the cables will remain still. Festoons, on the other hand, swing around wildly in windy conditions, which causes mechanical stress on the cables and potential system failure. One of the unique design challenges in ship to shore cranes is that the boom needs to be raised and lowered in order to allow the ships to berth on the quay. 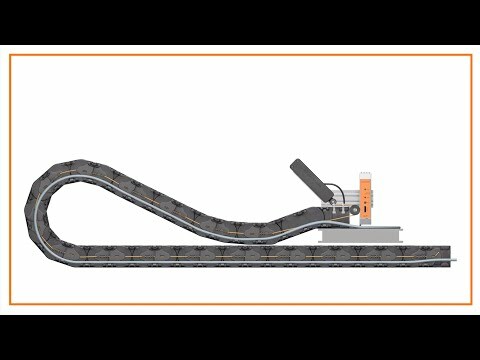 To simplify realignment of the trough when the boom is raised and lowered, the igus® engineered systems team uses a boom-hinge point to create perfect realignment of the trough. 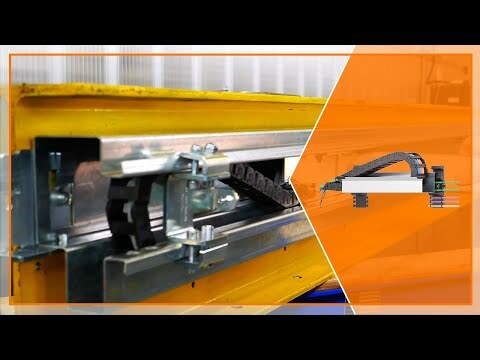 As an added safety feature, igus® installed limit switches on the pin-bore connection so that trough alignment is established. If the trough is not aligned, the limit switches prevent the trolley from moving down the rail. As crane performance is consistently improving, the components built into the cranes must also keep up with new standards. Though sometimes a less commonly-known solution than festoons, e-chain systems® are the innovation that better meet today’s enhanced technical requirements. The energy chains have been in operation in the cranes of the Port of Virginia for over 12 years, and after maintenance checks, were approved to continue safely for another extended period of time. The chain systems are currently being replaced, but only as a preventative measure, as there is funding in the budget and a window of opportunity before peak season. Even during 2016 winter storm Jonas, which slammed the Virginia coast with high winds, snowfall, extreme temperature drops and ice buildup, the Port of Virginia was able to continue operation without the risk of system breakdown. Many other ports were forced to stop operation due to risk of crane failure. 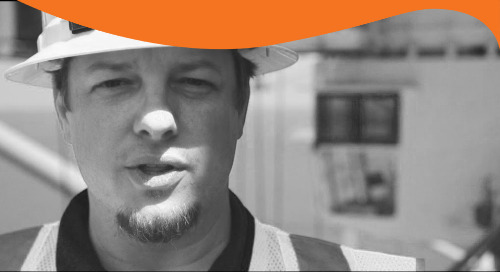 The durability of e-chains® in these harsh events is critical for crane operators to thrive. 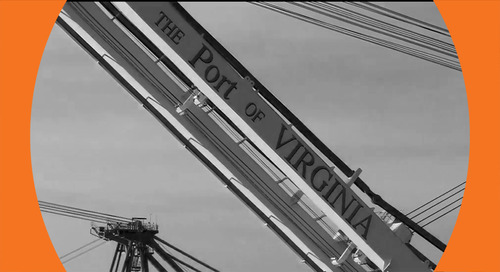 The success of Virginia cranes has kept the port as a leader in the industry. With innovative technology and superior components, the Port of Virginia is trailblazing when it comes to cargo control. The dependability, easy installation process, decreased maintenance and peace of mind that igus® solutions provided, according to Johnston, is what put igus® on the map. 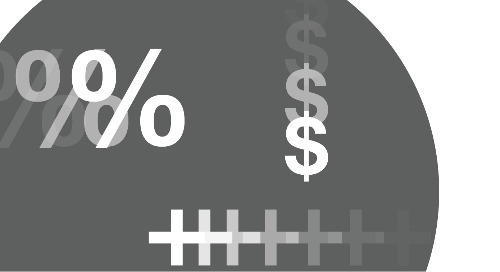 By replacing festoons with e-chains®, the Port of Virginia has seen productivity gains in their loading operation while experiencing a decrease in costs and downtime. 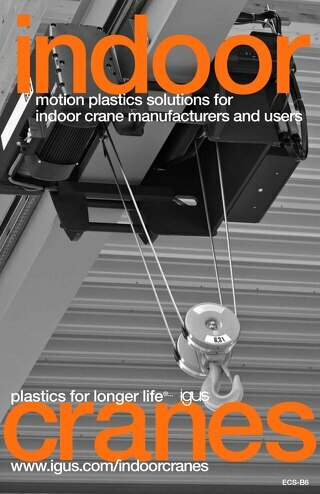 “The igus system provides a reliability that’s superior to a festoon system,” Webb concluded. “It provides a better service to our operational colleagues to get their work done in a timely fashion."